One of the benefits to having photographed a sport many times in the past is gaining knowledge about that sport as well as knowing the best (safest) angle to photograph from. Photographing high school discus athletes can be a little dangerous if your not paying attention. Knowing where NOT to stand is one of the most important parts of photographing track. 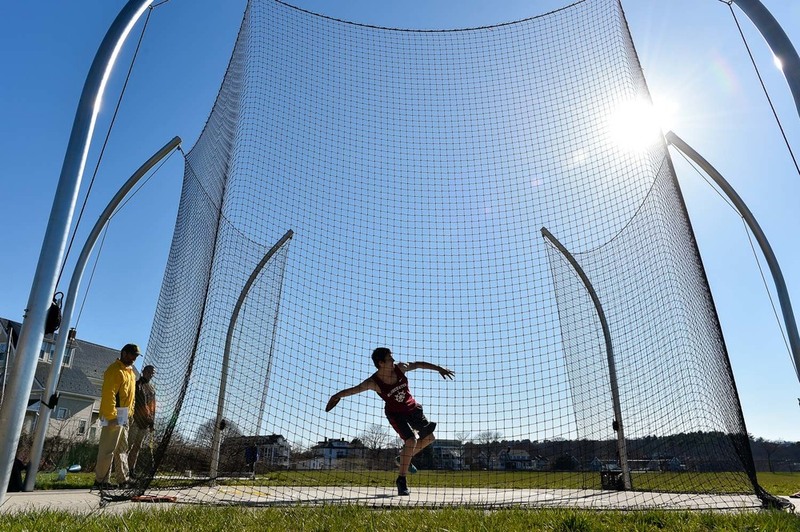 I was able to find a safe spot and using a wide angle lens I captured this Gloucester athlete as he prepared to throw the discus during their meet with Saugus at Gloucester High School.